"Prompt Efficient And Effective Fixing Of The Toilet Leak." "Arrived Promptly And Completed Work Efficiently." "Reliable And On Time And Nice Demeanour"
"Arrived In The Time Stated, Polite And Completed The Job Quickly And Professionaly"
"Fast, Efficient And Friendly. Great Service." 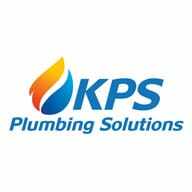 Need a Plumber or Heating Engineer in Walsall?